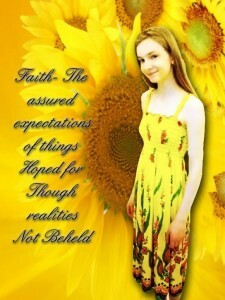 Sign the petition for Justice in Youngstown Ohio for Faith McCullough. Make sure you confirm your email address after signing, you will receive a confirmation after you sign to confirm! Check your spam if you now have recieved an email confirmation. Confirmation is just as important as signing the petition. Please share on all your social media pages! You have failed miserably to give Faith McCullough a Youngstown Ohio resident justice according to the Constitution of the United States of America. We are totally disgusted with ignorance displayed in this case. "We The People" are citizens of the United States of America and you failed to represent this City Youngstown Ohio in a way that dignifies it. We want the school bus driver prosecuted for her negligent actions. We want safety for our children and we want accountability on behalf of those in charge of their safety! NO EXCUSES in any way shape or form will be accepted for negligence when it comes to the safety of our children in Youngstown Ohio! This website was made for the Angels of Youngstown who believe in real justice for all like the Constitution of the United States clearly says. 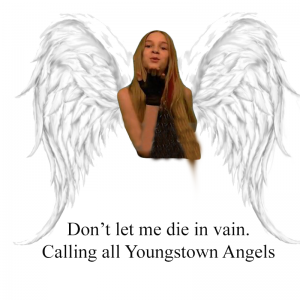 This website is here to defend the innocent and give a safe place for Youngstown Angels to reside. We have witnessed the corruption in Youngstown at the top levels only to oppress and not give the people of Youngstown real justice they deserve. Even murder and killing has been overlooked by these officials and the people of Youngstown need a voice. This website will be here for those people who wish to right the wrong in this town. There are many beautiful people in Youngstown who desire justice and a safe place to live and the authorities in Youngstown Ohio have FAILED in every way to provide them what they justly deserve. 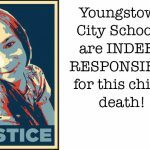 Our children in Youngstown ohio are in danger of losing their lives at the hand of negligent officials. This website is for those who demand accountability on the part of those officials and their employees. Signed and shared! We will never stop fighting for you Faith! Rest in Heaven Baby Girl! Lydia Young. Good luck god bless you. Snd yes our courts our truly corrupted. I know from experience. Signed and sharing so I can get others to sign, this is such a great thing you are doing Max….and may Faith rest in peace knowing sooooo many ppl also want justice done for her tragic death…..I know I sure do….thats some BS about that bus driver….but, I’ll leave all that in Gods hands….. Thank you Jolene, its one preventable tragedy on top of another preventable tragedy. I know the people do not want this. Signed. I’ve already spoken plenty about how I feel about this & I can’t imagine the sense of betrayal & insult you guys feel at it being called “unavoidable” but maybe the only bright spot in this will be that we can help uncover & stop the corruption in Youngstown so that Faith won’t have been killed in vain. Thank you my friend, yes I hope we can make children safer here. They deserve to be protected and respected! Thank you Jamie, it is truly a tragedy in more ways than one. Thank you my friend, I hope this help people understand that even though authorities are trying to cover this up as an “Unavoidable Accident”. Please understand that their willingness to create this illusion is because more than just the bus driver was responsible for this preventable tragedy. The city which not only controls the school bus company but also the Youngstown City Schools are responsible for negligence on so many levels. That is true reason why they do not want to give the People of Youngstown Justice or Faith McCullough. I’m so sorry you are having to fight for justice for your daughter, that’s inexcusable….no parent should have to fight for their child’s justice. The officials should’ve done the right thing which is placing charges on this careless bus driver immediately!! I’ve shared the petition and some of your shares about Faith on our “Justice For Baby Levi” page. I’m in Tennessee but we have close to 4,800 members all over the US and world. 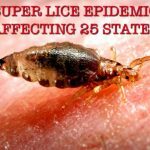 I’m hoping we can get you some signatures to help with the petition. May God be with you and help in seeing that justice is done!! Thank You April! Much love! Signed and shared Max. Praying for justice for Faith. Signed and shared in Spring City Tn.. Praying for you and your family..
Max, my heart breaks for you. I still cry at some of the post. I know faith is still with you. I worry about my children Monday – friday. I pray for Harley everyday. I’m so positive he is going through a lot and one day he is just going to spit it all out. Thank you for being such an awesome dad. There are not many of them. But u been there for your kids since the beginning. THANK YOU for showing us how to be strong and fight back with courage instead of falling apart and leading to violence. I stand behind you 110%. Thank you MLH we were glad to be there! 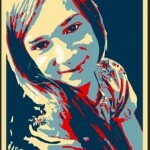 We will never forget you baby girl. We Have Faith In This And Will Fight For Her! Right Is Right And Wrong Is Wrong ! Thank You Jamela, Yes we need accountability for Childrens safety. If someone kills a child and says “I Didn’t mean it” thats not good enough! How in Gods name do they see that justice should not be served to the bus driver. When had it been one of their children the would have prosecuted to the full extent of the law.No child deserves to die in vain. No parent should have to bury their child especially one so young and innocent. Children are our future without children we would not have a future to look forward to. I have signed the petition and will stand by you and your family til the end to see that justice is served. You should also make a petition on change.org. God Bless you and your family. I will be praying for you and for justice for Faith. Than k you my friend! I’m very sorry for your loss. It outrages me that this has happened. My thoughts and prayers are with you and your family. This issue should not be carrying on like it is. You have my support. I have 4 kids myself. I can only imagine what you and your family are feeling and going through. God bless you all. Thank you my friend, yes it is a scary situation for the children here. I hope we can make a difference.